Butter making was a regular job in the early days of dairy farming, and well into the 20th century. 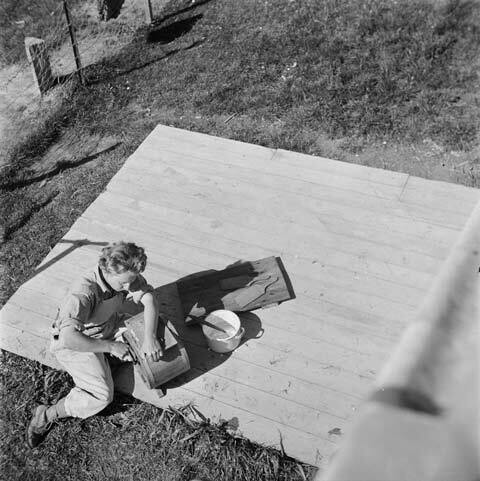 Here, land girl Carol Sladden operates a wooden hand churn at Mangaorapa, Hawke’s Bay, in 1943. The churn agitated the cream inside until it separated into butter and buttermilk, which could take half an hour or more of churning. When the lumps of butter were removed from the churn, they were compressed to remove excess moisture, and moulded into convenient sized pats on a board, using the two grooved butter paddles.